HVAC Replacement Lodi & Stockton CA Queirolo's Heating & Air Conditioning, Inc. According to an HVAC rule of thumb, you know you need to replace your HVAC unit or furnace when the cost of repairs approaches 30% of the value of your heating or cooling system. That's because a new system can be 50% more efficient if the existing unit is more than 12 years old. With new equipment, the utility savings start paying you back immediately. Plus, you may avoid costly repair bills in the years ahead. Advancements in central heating and cooling technology are improving energy efficiency as much as 7% per year. So replacing a heat pump, air conditioner or furnace that is more than 10 years old may be a smart move. 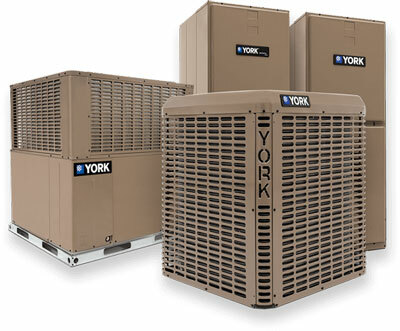 Our highest efficiency YORK® systems can cut your heating and cooling bills in half, depending on the efficiency of your old system. An uncomfortable home can be a sign of improper equipment operation, duct problems or inadequate insulation. Dust, pollen and mold spores can invade your house from leaky ducts that pull dirty air from attics, crawl spaces and basements. Sealing your ducts may be a solution - as well as adding air-cleaning equipment. Either way, a properly installed system, ductwork, coils and filters can save money, and your health.